I just came across this on the web – a new commercial for an Italian toilet paper. In it, Dante writes his Divine Comedy on a roll of toilet paper. Very sophisticated. They took a few liberties (poetic licence?) too. Dante writes the last words of the Divine Comedy in his house in Florence in 1308... Every Italian knows since primary school that he finished his Comedy in exile (after being banned from Florence since 1302) just before his death in 1321. His young wife looks suspiciously more like a Beatrice Portinari than a Gemma Donati. She says in the ad: "This Comedy of yours is very nice, Dante – divine [ha ha] – but don't you think it's too long?" To which Dante replies: "It's fits just one roll..."
A better joke, at least in English, could have been: "I'm on a roll." The other day I was asked to sign a copy of my BESTSELLER, but I messed it up: I'm retarded these days when it comes to writing long-hand. So I crossed out my mistake, then picked up a new copy (I have many) and inscribed it to my admirer. I didn't know what to do with the old copy. I thought I could give it out for charity. Then I thought I could keep it in case an Indian or Swedish blogger asked for a reading copy. In the end, I tore the title page out and a few seconds later, unhappy, frustrated, consigned that copy to the bin. Hours later the cleaner came in, when I was still in the office (not a rare occurrence). I was on the phone and I saw she hesitated before offloading the bin's contents into the rubbish bag. She took out this gold-foiled book and started to look at it. Fired by a new generosity, I mouthed: "Go on, you can have it, you can take it." The cleaner looked at me and put it in one of the large pockets of her apron, then when I hang up she said: "I'm looking for management books. Management." I told the story in the office and the comment was: "This is packed with metaphor". Yesterday I was sent a submission by one of the greatest writers of the twentieth-century, introduced by one of the best greatest great writers of the twentieth century. So I printed twenty pages, as I usually do when I get this kind of proposal, and took it home to read. I uncorked a bottle of red to be in a good mood and started to leaf through. The first twenty pages after the prelims were blank and they just said: "Introduction", "Introduction", "Introduction", "Introduction", "Introduction", "Introduction", "Introduction", "Introduction", "Introduction", "Introduction", "Introduction", "Introduction", "Introduction", "Introduction", "Introduction", "Introduction", "Introduction", "Introduction". I guess I'll have to print a few more pages before being able to make an offer. A wonderful half-day at work, where I had the privilege of editing Swift's Battle of the Books. What a wonderful little book it is – so funny, so relevant. If you have not read it, please grab a copy once we publish it in October (available September). As a cherry on the cake, tonight I had a lovely dinner with John Calder. I had not seen him for a while, and he's still going strong. Today – he told me – he is exactly eighty-four years and a half, which may go some way to explaining (together with his upset stomach) why he limited himself to a Fernet Branca, half a bottle of Chianti and a cognac as an accompaniment to our dinner. Great anecdotes about Nora Wydenbruck, her husband and their piano-playing au pair, Sonia Orwell, Robbe Grillet, Ionesco and a few other unnamable greats. A truly memorable night. We just sent to the printers the longest book we have ever published under the Oneworld Classics imprint, Goethe's Wilhelm Meister. At over 500,000 words, it dwarfs Anna Karenina (merely 320,000 or thereabouts) and Don Quixote (around 350,000 I think). Our editor cried this morning when I pressed the Send button. But it's not the longest book I've published. William T. Vollmann's Imperial, published by Alma last year, clocks up around 750,000 words, spread out – or rather crammed into – over 1,400 pages. Other books that went to press today are Antonia Pozzi's Poems, in Peter Robinson's wonderful new translation (with dual text), and two lesser-known gems by Raymond Queneau – We Always Treat Women Too Well and The Sunday of Life. Me, I've spent the last couple of days wallowing in the many pleasures offered by Anthony Mortimer's new translation of Dante's Vita Nuova (again with dual text), to be published next month by Oneworld Classics. In other news, Hodder has signed a title by Pippa Middleton's pilates coach Margot Campbell. 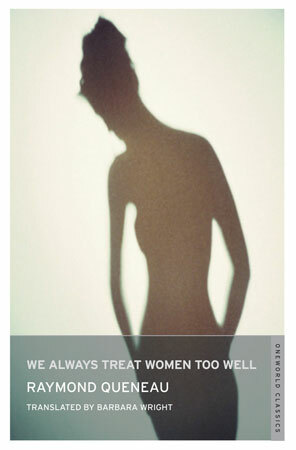 This morning has largely been spent pretending to correct the proofs of Raymond Queneau’s We Always Treat Women Too Well, while secretly luxuriating in Queneau’s beautifully turned phrases and glorious vulgarity. IRA raids, scenes of a sexual nature, and highbrow literary allusion are perhaps not the most obvious of bedfellows, but Queneau provides just that combination in his smutty envisioning of the 1916 Easter Rising, set in a model of Dublin lifted directly from the pages of Ulysses. The slim novel is peppered with Joycean echoes, most obviously in the name of Queneau’s heroine, Gertie Girdle, who indulges in more debauchery than Joyce’s Gerty MacDowell could ever dream of. Originally introduced as a demure post-office clerk, Queneau’s Gerty becomes embroiled with a gang of dissident republicans who take over the post office, unwittingly taking Gertie hostage while she’s in the Ladies. Her arrival on the scene heralds the disintegration of the group, as one by one they become suffused with guilt-ridden lust for “the English girl”. The basic plot is loosely modelled on James Hadley Chase’s No Orchids for Miss Blandish, which features a similar hostage situation. Unlike Chase’s passive, exploited heroine, however, Gertie is the instigator of all manner of depravity as she gleefully thwarts the rebels’ best attempts to behave “correctly” towards her in order to bring honour to their cause. The men’s pitiable inability to resist her seductions undercuts the scenes of violent murder played out in the opening pages, puncturing their pretensions to power. Thus, Queneau subverts that model of gratuitously violent genre fiction he initially appears to be employing. Indeed, Queneau’s trademark humour is very much in evidence throughout We Always Treat Women Too Well; he clearly relishes Gertie’s transformation from prim postal clerk to self-possessed seductress, and her closest parallel is perhaps Ruth in Pinter’s The Homecoming. The most comic parts of the novel are those in which Gertie utterly disarms her captors, confusing and exciting them in equal measure – though among the 124 pages there isn’t one that isn’t thoroughly enjoyable. Erasmus's Praise of Folly has just turned five hundred. Although written between 1509 and 1510, Erasmus's masterpiece was published in Paris, by some of his friends, by August 1511. The author apparently did not supervise the printing, which contained many mistakes and omissions. An authorized text appeared only the following year. 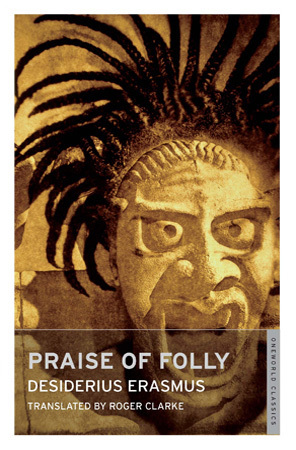 Witty, trenchant at times, Praise of Folly is undeniably one of the most important works in the Western canon, giving rise to countless imitations and influencing the culture, theology and literature for centuries to come. As Stefan Zweig once said of this book: "From the terrible hate storm of his age, Erasmus has salvaged this intellectual gem, his faith in humanity, and on this small burning wick Spinoza, Lessing and Voltaire – and all Europeans past and present – could light their torch". Long may this small wick remain burning. It's gone already, and another week of phone-hacking revelations and Murdoch-bashing is about to begin (don't get me wrong, I enjoy all this). The world won't be much poorer without NoW, but it doesn't seem right to leave 200 staff out of job just like that. In France or Italy you could not do it. Eleonora made me proud again when she came back home and said that my novel was on display on the counter of Richmond library. "Daddy, daddy, there's a book with your name on it!" I have spent the entire weekend working on my new novel, which I hope to finish by the end of July. The only break was a BBQ with some Italian friends. One of them, our host, is a wine buff and treated up to ten or more wines during the long evening. I still have to recover. I'm reading a lovely book, Rilke's Venice by Birgit Haustedt, published by our friends at Haus. It's a delightful book, and I recommend it as a gift to Venice lovers or as a Baedeker for people travelling to La Serenissima. I have been rehearsing in my mind how to break my long spell of silence, and trying at the same time to get inspiration from one of the great masters of epistolary justification, John Keats. Most of his letters start with an excuse for not having written sooner. One of his better beginnings is: "I will not pretend to string a list of excuses together for not having written before – but I must confess the indolence of my disposition which makes a letter more formidable to me than a pilgrimage. I am a fool in delay for the idea of neglect is an everlasting knapsack which even now I have scarce power to hoist off." But the best one must be: "When once a man delays a letter beyond the proper time, he delays it longer for one or two reasons: first, because he must begin in a very common-place style – that is to say, with an excuse; and secondly things and circumstances become so jumbled in his mind that he knows not what, or what not, he has said in his last—"
That's exactly what happened to me. It's not through laziness or busyness that I have abstained from this page, but rather because after a while the thought of my delay has started to weigh down on me. There were so many things I would have liked to write or comment about – some foolish, some deeply philosophical – but now they've gone and they're buried for ever in my mind. So you'll have to content yourselves with what I am going to write in the next few days – and many apologies in advance if I am not able to do that.